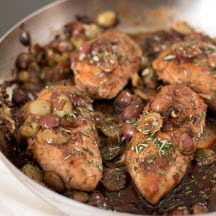 CooksRecipes has quality, kitchen-tested recipes for Italian chicken dishes that you can count on for successful deliciousness. 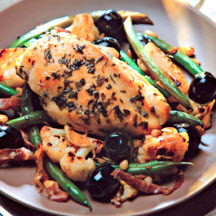 This easy, yet impressive chicken dish is sure to earn an A-plus for deliciousness from your family. 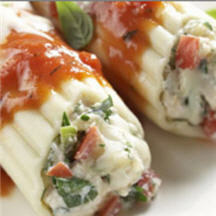 Chicken, onions, tomatoes, green peppers, ricotta, mozzarella and Parmesan cheeses make a delicious filling for manicotti pasta.